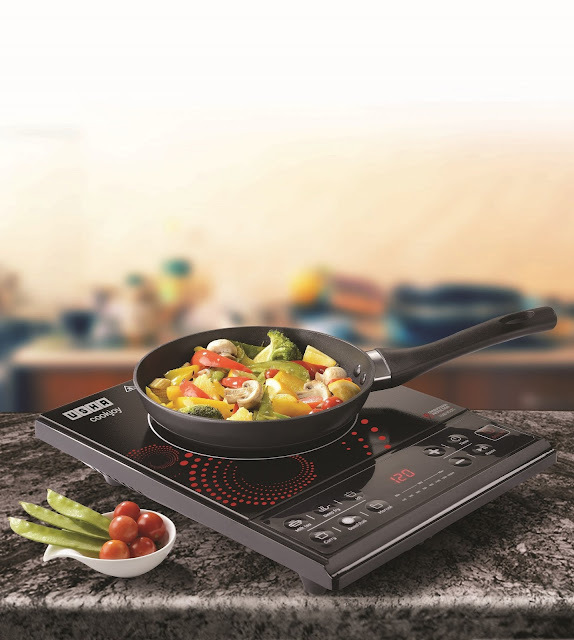 Usha International, one of India’s leading consumer durables company, launched another model Usha Induction cooktop IC 3616 in its Induction Cooktops range. Usha Induction Cooktop IC 3616 comes with ‘pan sensor technology’ wherein heat turns on only when the cooktop senses the utensil. It also prevents overheating by auto switching to power saving mode maintaining the optimum temperature. It offers a pre-set menu for 5 Indian recipes besides a manual menu control option. Another highlight of the product that sets it apart from competition is it’s resistance to voltage fluctuation up to 1500 Volts. Usha Induction Cooktop IC 3616 comes with a 1340MM long cord for easy placement. Usha Induction Cooktop IC 3616 is priced at Rs. 2,795/- with 1-year warranty on the product. The USHA cooktop range is available at all leading stores across the country. For more information on the same please visit www.usha.com .